Found 24 blog entries for August 2011. Monday, August 29th, 2011 at 10:12am. We have great news – you have been selected as a 2011 Seattle Five Star Real Estate Agent. You are among a group of fewer than 7 percent of real estate agents in the Seattle area. You might already have received your official award notification letter in the mail – this email also confirms your selection. Monday, August 29th, 2011 at 8:57am. Banks are agreeing to more short sale transactions, and short sales are taking less time to sell, which is helping to clear large inventories of distressed properties more efficiently, says James J. Saccacio, RealtyTrac CEO, in releasing new housing data this week. Friday, August 26th, 2011 at 2:29pm. Southern California’s real estate market remained geared towards home buyer's in the month of August, despite relatively strong demand from investors and others paying cash for homes. Prices have trended down slightly over the last couple of month, but many potential home buyers appear to still be on the sidelines and may still be waiting for a bottom in prices or a relaxing of the mortgage guidelines to allow more people to qualify for homes. Thursday, August 25th, 2011 at 3:00pm. 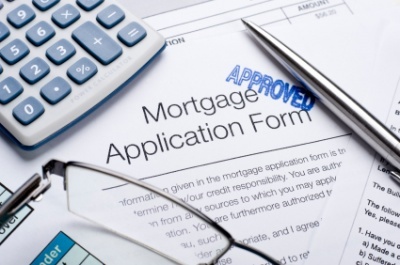 Yesterday, a recent losing streak for loan pricing boiled over and Mortgage Rates rose across the board. Today offered a slight reprieve to yesterday's losses, but only in terms of improved borrowing costs. BestExecution rates were unchanged. Our ongoing guidance recently has been to take advantage of recent rate offerings as soon as possible, noting that "the frustration of missing out on "high 3's" and instead getting "low 4's" seems nowhere near as bad as the frustration of missing out on a refi opportunity (moving from 5% to 4.25% for instance) altogether." Thursday, August 25th, 2011 at 1:05pm. 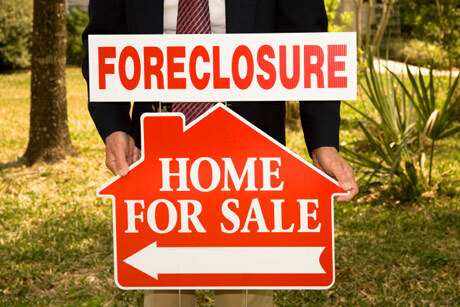 Foreclosures made up about one-third of all home sales during the spring quarter (April to June), and sales were about six times the percentage of foreclosures in a healthy housing market, RealtyTrac Inc. reports. Foreclosure sales likely would have been much higher too if so many banks hadn’t slowed their foreclosure processes while state and federal officials continued to investigate possible faulty practices. Foreclosure sales — which include homes purchased after they receive a notice of default or that were repossessed by lenders — peaked two years ago at 37.4 percent of sales, compared to 31 percent in the April to June quarter. “abellahomes” has been named a 2011 FIVE STAR Real Estate Agent for 4 years in a row! "abellahomes" has done it again! We have been named a 2011 FIVE STAR Real Estate Agent for 4 years in a row! Stan & I will appear in the December issue of Seattle Magazine and we will be featured in the 2011 FIVE STAR Real Estate Agent Special Section. Thank you for believing in us! We couldn't have achieved this without you & appreciate your continued support over the years! This is truly a great honor!!! This really means so much to us!!! Tuesday, August 23rd, 2011 at 8:30am. Meticulous estate setting with perfect floor plan! Privately set back on a stunning .78 ac, this 4 bedroom, den, bonus home easily lives like a 5 bed (main floor bed and bath)! Unmatched heart of the home: gorgeous granite island-kitchen, HUGE eating area with super custom built-in buffet opens to soaring ceiling family room. Quality custom built-ins in laundry/mudroom and family room for superior storage! Entertainment deck, hot tub, BIG bonus room, AC, newer 50-yr roof, stellar Northshore schools! Thursday, August 18th, 2011 at 10:08am. NEW YORK (CNNMoney) -- Sales of existing homes fell unexpectedly in July, as strict lending and low appraisals prevented consumers from scooping up some of the cheapest houses since 1970. Sales of previously owned homes tumbled 3.5% last month to an annual rate of 4.67 million, down from 4.84 million in June, according to the National Association of Realtors. Economists had expected July sales to come in at a much higher rate of 4.87 million homes, according to consensus estimates from Briefing.com. Sammamish named as one of the “Best Places To Live” AGAIN! Monday, August 15th, 2011 at 8:03pm. CNN Money Magazine has issued their annual ratings of the "best places to live." Sammamish has once again finished high in the "small town" category. Sammamish has made the list in previous years. Saturday, August 13th, 2011 at 10:20am. Come celebrate many diverse cultures found in Sammamish!